Looking for the perfect gift? Treat your friend or loved one to a Powder Voucher! 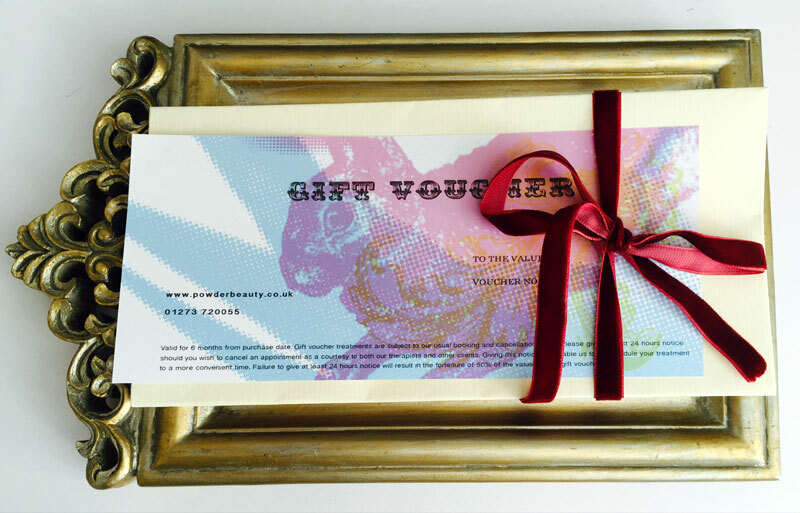 Gift Vouchers are available from £5.00 and can be used for any of our beauty treatments or retail products. We have a range of OPI and Vinyalux nail polishes plus Steamcream and Eve Taylor Skincare to name a few. Powder gift vouchers are valid for 12 months from date of purchase. If you would like your voucher posted there is an extra £2 charge, all vouchers come with a envelope and ribbon. 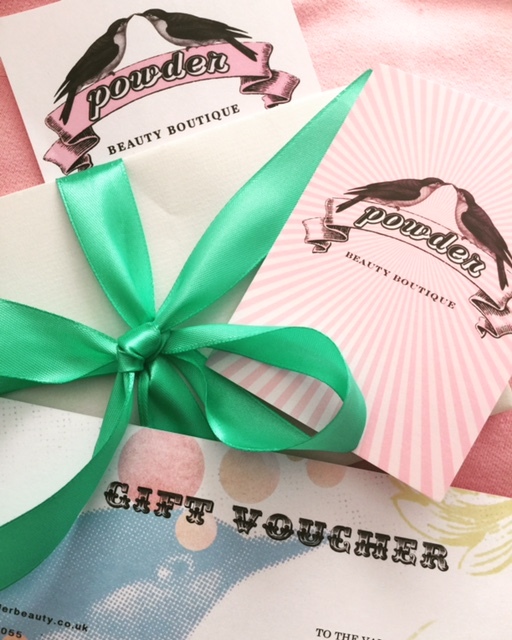 If you would like your gift voucher emailing please contact us at info@powderbeauty.co.uk. Please Note – Our Gift Voucher Packaging varies. Most vouchers are currently being presented in a striped gold and white bag.